1. Please follow our size chart to select the size. The Asian size is defferent with yours.2.Mansual measurement may exsit 1~3cm difference.3.The color of the clothe may be different with the original primary for light effection. 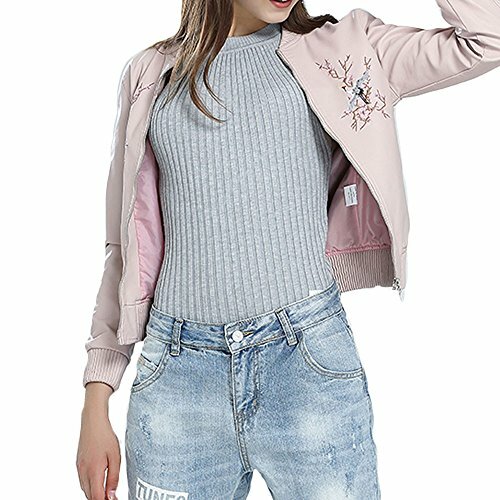 ♛♛PU leather material,comfortable wear,gorgeous floral embroidery on chest and back,bomber Style. ♛♛Perfect birthday or festival gifts for girls(look expensive).Suitable for Christmas,outdoor sports,daily life and school.